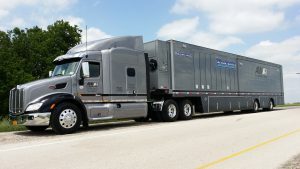 In what is thought to be the largest-scale multicamera switched 4K/UHD production ever in North America, All Mobile Video and Mobile TV Group combined to deploy 27 4K cameras to produce Garth Brooks’ pair of concerts at Yankee Stadium this month. 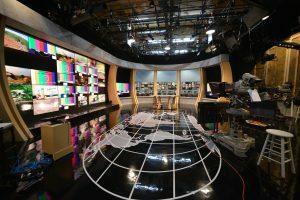 The production featured a pair of control rooms inside AMV Zurich A and B units and Mobile TV Group 39 Flex truck to handle 27 camera feeds across two 4K/UHD switchers, with 27 4K cameras recorded across a variety of recording and SAN storage devices. The 27-camera complement comprised 22 Sony HDC-4300’s (nine hard, 13 handheld), four Sony PMW-F55’s, and a Grass Valley LDX 86. Camera positions included three Nike cranes, five 30-ft. jibs, a Spidercam, a Fisher 10 dolly, a Steadicam, two TowerCams, two Furio dollies, six studio configurations, five handheld configurations, and one helicopter. The recording devices were four Sony PWS-4500-4TB servers, four Sony PWS-4400-4TB servers, four Small-Tree TZ5+15 portable SANs, a DDP SAN, a Sony PMW-F55 in camera recording mode, six AJA Ki Pro Ultra recorders, two Cinedeck H.264 recorders, and 22 Cinedeck ZX45 UHD recorders. To connect this army of cameras, AMV and MTVG deployed 19 SHED/HDX SMPTE-to-single-mode-fiber adapter systems, 17,450 ft. of SMPTE camera cable, and 12,600 ft. of TAC fiber. Given the still-bleeding-edge state of 4K multicamera production and the sheer volume of video files created by 27 4K cameras during two nights of three-hour concerts, D’Angelo and company soon realized that they would need to concern themselves not only with onsite production planning but also with data management and postproduction planning. 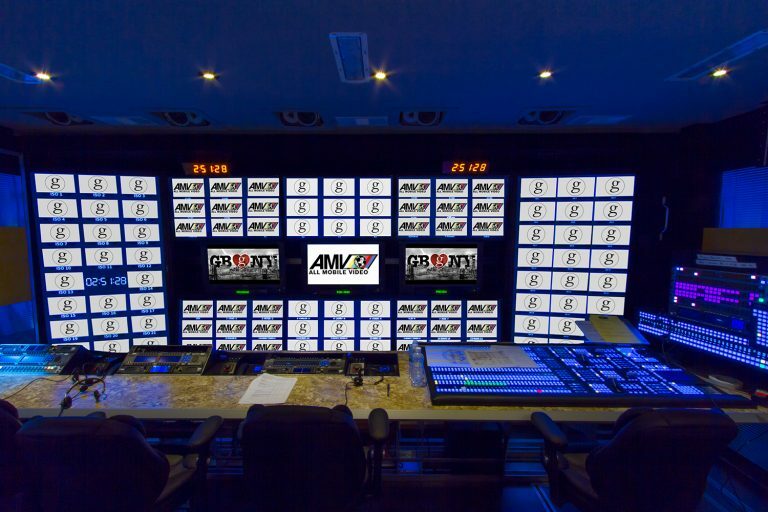 Typically, AMV would deploy a separate audio multitrack truck onsite for an entertainment special of this magnitude. However, for the Garth Brooks concert, all audio was mixed and multitracked in AMV Zurich’s audio room, which features a Studer Vista 10 digital audio console and 2×128 channels of ProTools record, rather than a separate audio truck.